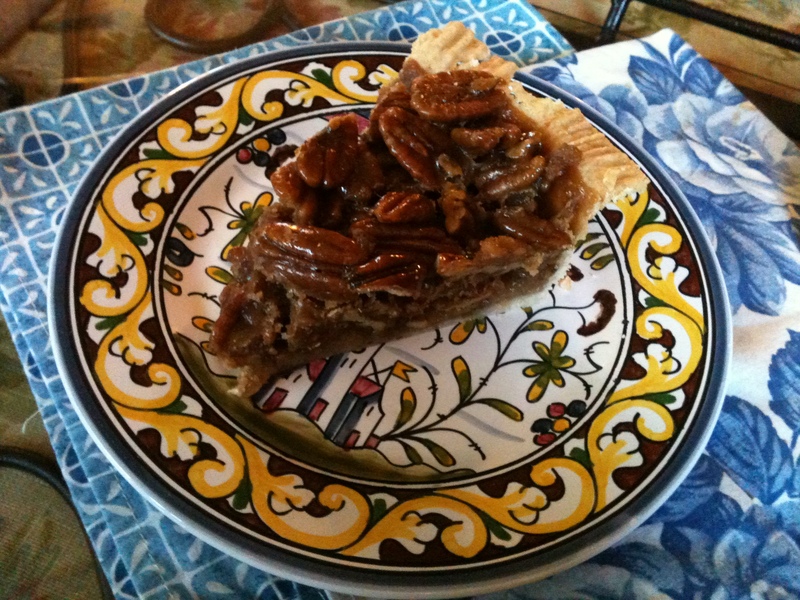 Mix all the ingredients and then add the chopped pecans. 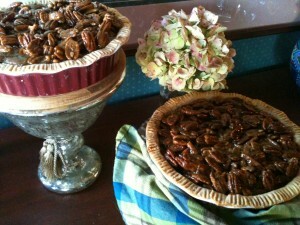 Pour into the unbaked pie shell and bake with foil covering for 25 minutes. Remove foil and continue baking for 15 minutes. Add the Honey Pecan Topping carefully to the top. 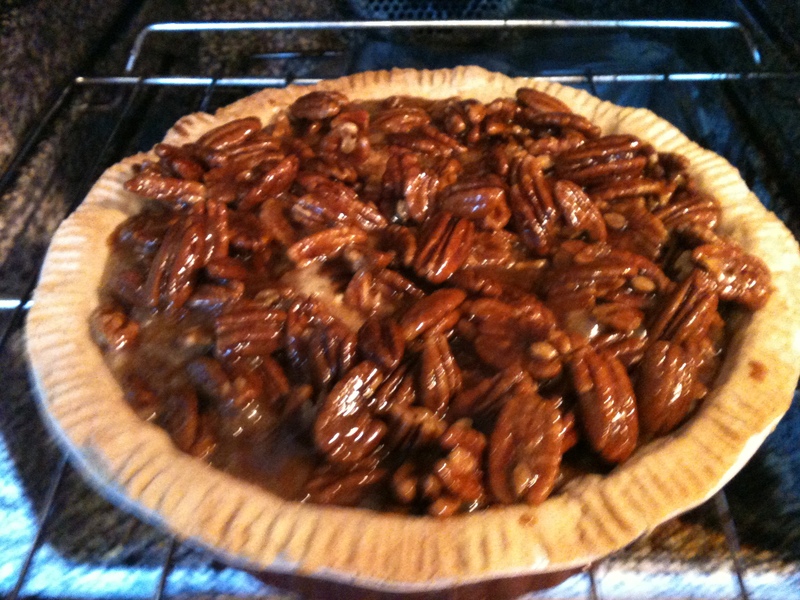 Return to oven about 10 minutes and then remove and cool the pie. Honey Pecan Topping. In saucepan, combine 1/3 cup brown sugar, 3 T butter, 3 T honey. Bring to a boil, reduce heat and simmer for 2 minutes. 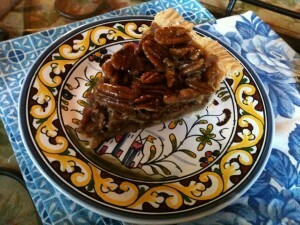 Remove from heat and stir in 2 Cups Pecan halves. 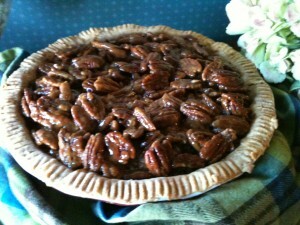 This entry was posted in Pies, Thanksgiving and tagged maple, Pecan, Pie. Bookmark the permalink.